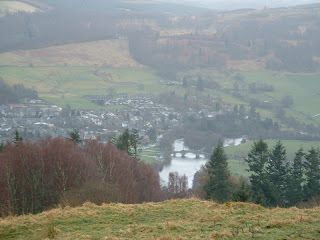 Aberfeldy is situated at a bend of the beautiful River Tay (the UK's largest) and 5km down stream from Loch Tay. It is an excellent base for touring Scotland or Highland Perthshire. There is a fine selection of coffee shops, restaurants, gift shops and galleries along the main street which runs from East to West through the town. The main car and coach park can be found sign posted off to the left on entering the town from Grandtully and the A9. The main street is only 50 yards from here.